St Petersburg passenger and car ferry ticket prices, timetables, ticket reservations and information for ferries sailing from St Petersburg to Helsinki, Stockholm and Tallinn. Compare all available St Petersburg ferry ticket prices in real time and book the cheapest available St Petersburg car and passenger ferry tickets sailing to and from St Petersburg, Helsinki, Stockholm and Tallinn with St Peter Ferry Line ferries online with instant confirmation. Book St Petersburg Ferry Tickets with St Peter Ferry Line for ferries sailing from St Petersburg to Helsinki, Stockholm and Tallinn online in advance to enjoy the cheapest available ferry ticket price. The price you see is the price you pay. There are no hidden extras or surprises such as added fuel surcharges or booking fees and we do not charge you anything extra for paying with a Visa Electron card. The price we quote you for your selected St Petersburg passenger or car ferry ticket, onboard accommodation and vehicle type is all you will pay, and that's a promise. To obtain a St Petersburg ferry ticket price and book your ferry ticket securely online please use the real time ferry booking form on the left. You are also able to add a hotel at your destination, or anywhere else, to your ferry ticket when completing your ferry ticket reservation. St.Petersburg is located on the coast of the Gulf of Finland, at the mouth of the Neva River and on over 40 islands in its delta. The nearest suburbs of St.Petersburg are situated on the plain adjacent to the Neva, and along the Gulf. The city is 600 km northwest of Moscow and 300 km east of Helsinki; it is situated in latitude 60 North, the same latitude as Stockholm, Oslo and Anchorage, Alaska. Thanks to its geographical position St.Petersburg is famous for its delightful White Nights which begin at the end of May and last for some 50 days. The shortest night is June 21/22 when the sun slightly disappears beyond the horizon, and even the brightest stars are not seen in the sky. The maximum length of a summer day is 18 hrs 45 min. Situated on the Baltic Sea, the city has a favourable geopolitical location. As a sea port it has access to the Northern Sea and the Atlantic Ocean. Therefore it plays an important role in the execution of export and import transactions carried out with the use of sea transport. 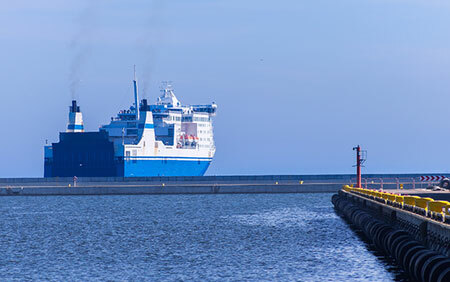 Numerous ferries leave St Petersburg for Sweden, Germany and for Finland. There is also a ferry to Tallinn, Estonia. The journeys take about 14 hours; overnight cabins are available. Ferries leave from the Sea Passenger Ship Terminal on Vasilyevsky Island. The regular long-distance service is a fast train. It stops more often than the typical intercity train in the West and rarely gets up enough speed to merit the ‘fast’ label. Foreigners booking rail tickets through agencies are usually put on a skory train. Generally, the best skory trains have cleaner cars, more polite attendants and much more convenient arrival/departure hours; they sometimes also have fewer stops, more 1st-class accommodation or functioning restaurants. A passenger train is an intercity-stopping train, found mostly on routes of 1000km or less. These can take an awfully long time as they clank and lurch from one small town to the next. When taking trains from St Petersburg, note the difference between long-distance and ‘suburban’ trains. Long-distance trains run to places at least three or four hours out of the city, with limited stops and a range of accommodation classes. Suburban trains, known as prigorodnye poezda or elektrichky, run to within just 100km or 200km of the city, stop almost everywhere, and have a single class of hard bench seats. You simply buy your ticket before the train leaves, and there’s no capacity limit – so you may have to stand part of the way. Most stations have a separate ticket hall for suburban trains, usually called the Prigorodny Zal and often tucked away at the side or back of the station building. Suburban trains are usually listed on separate timetables, and may depart from a separate group of platforms. The city’s main bus station is Avtovokzal, a recently remodelled building a little out of the city centre. Domestic and international services leave from here. Note that buses to Moscow are all en route to somewhere else, which means you will be dropped off in the northern Moscow suburb of Khimki. It is far more convenient to take the train. In any case, it is recommended to buy bus tickets in advance, especially for long-distance journeys. St Petersburg has always been a city of ideas. Petersburgers incited the Russian Revolution, ushering in 70 years of communist rule. And it was St Petersburg that encouraged democracy when the tide began to change. Nowadays, this city’s citizens are breaking down the barriers of generations past and exploring new ideas, investigating the possibilities of consumerism, creativity and career. It’s not only Rastrelli’s architecture and Tchaikovsky’s operas that entice visitors, but also beatnik bands, edgy art galleries, underground clubs and delectable dining. St Pete’s bohemian side gives a glimpse into the 21st century; and (to borrow a communist slogan) the future is bright! St Petersburg is legendary for its White Nights: those long summer days when the sun barely dips below the horizon. Revels start in May, when the city finally succumbs to spring and the parks are filled with flowering trees. But even when the skies are grey and the ground is covered in snow, the rich culture of St Petersburg dazzles and delights. Best Price Guarantee - We always offer you our lowest available St Peter Ferry Line passenger and car ferries ticket price to and from St Petersburg. There are no hidden extras or surprises such as added fuel surcharges or booking fees and we also we do not charge you anything extra for paying with a Visa Electron card. The price we quote for your selected St Petersburg ferry ticket, onboard accommodation and vehicle type is all you will pay, and that's a promise! In the unlikely event you find the same all inclusive St Petersburg ferry ticket cheaper in the brochure of any other tour operator we promise that we will do our best to beat that price or offer you the choice of requesting a refund. To book St Petersburg car and passenger ferry tickets please click here. At ferryto.co.uk you are able to obtain live St Petersburg ferry ticket prices, check availability and book car and passenger ferry tickets to and from St Petersburg at our lowest available ticket price. Ferryto.co.uk is part of the world's largest online ferry ticket distribution network providing the ability to book over 80 major European ferry operators including to St Petersburg and to over 1,200 other ferry routes throughout the UK, France, Spain, Ireland, Holland, Eastern Europe, the Mediterranean, the Baltic and North Africa.